It would be hard to forget the story of little Zady. We introduced you to this beautiful family in the spring. In March of 2016, her mother, Yahayra, welcomed Empty Arms into her life and allowed us to walk with her as she awaited her daughter’s birth. Zady had anencephaly, a condition in which the brain fails to develop, and she would inevitably die shortly after birth. As Empty Arms companions and photographers, we were honored to be part of Yahayra’s pregnancy, and witness Zady’s birth and brief life here on earth. With her family, Empty Arms was able to help plan and fund a meaningful funeral and beautiful burial. Yahayra and I have been in continual contact since Zady’s birth last April, but there was one last special delivery that had to be made. Several weeks before Zady’s birth, I arranged for a local doula to create a plaster belly cast of Yahayra’s pregnant belly. One cold, snowy afternoon last March, five of us gathered around her with tubs of vaseline to protect her skin and long, sticky white straps of plaster casting, surrounded her with love and creativity. We laughed as baby Zady poked and kicked the cast from the inside. At the end, the doula took the cast home with her to finish stabilizing the plaster and then handed it off to a local artist (see below), who had taken the summer to paint it with a beautiful mural. Finally, in October, the cast was ready. After a drive up to Greenfield to get the cast, I brought the cast along with a box full of photographs I had taken to Holyoke, where Yahayra lives. She was waiting for me outside, sitting on some steps, and my heart almost leapt to see her. I could not wait to see her reaction to this beautiful piece of art. We hurried inside with the big box. Yahayra covered her hands with her face when we got inside. “I can’t look- you open it!” she cried from behind spread fingers. Her bright blue eyes were laughing with anticipation. I brought the cast slowly out of the box and she lit up with joy. She lifted the cast and placed it right back where it had been, re-forming the body that she once had with Zady on the inside. It was a glorious moment. After sharing the cast and all the photos with her mother and a friend, I offered to take Yahayra out to lunch before I headed home. She gladly accepted, and as we walked to the car, she mentioned again to me that she still had not been to the cemetery since the funeral. It was too emotionally difficult. Moments after I began to drive, she suddenly grabbed my arm and fixed me with a piercing stare of her blue eyes. “Let’s go to the cemetery right now,” she said. And of course, we went. Two hours later we were still there, lying on the warm grass under crimson and orange maples, our fingers tracing the lettering on Zady’s pink granite headstone. Yahayra had never even seen the headstone, and as we lay there, Zady's father joined us and we talked all afternoon. We re-lived the moments right after Zady’s birth, when we all felt such visceral relief that she had survived the birth and was mewling in her mother’s arms. We re-lived the funeral, and the people who had come to offer support. We re-lived the agony of knowing you’d never see your baby again. It may sound strange to say that an afternoon spent lying on a baby’s gravesite was one of the most powerful and beautiful ones I’ve had, but it was. Yahayra will say that her relationship with her companions was life changing, but we would say the same. Each family that we work with changes us in some way. 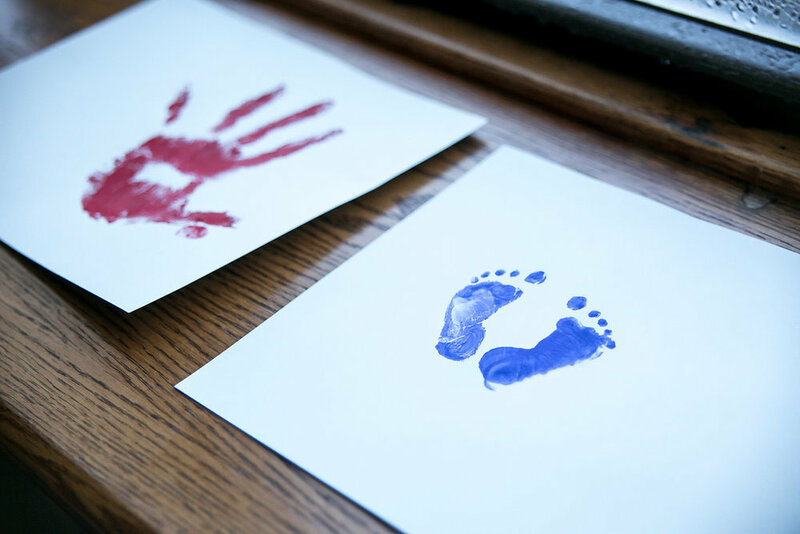 For many of our Peer Companion families, we meet them after their baby has passed away. We only know them in the throes of grief. Yahayra's birth story was different. We knew Zady was coming; we were able hold space with Yahayra in the hospital as she prepared for her daughter's birth and death. We were able to gather resources for her, professional photographers ready for whatever she needed. When Yahayra requested a belly cast, we were able to find a local doula willing to lend her services, and a local artist honored to decorate it. When Yaharya felt overwhelmed by the cost of a headstone and creating the funeral service she envisioned for her daughter, we started a GoFundMe campaign, and ensured Zady would have the memorial she deserved. Our companionship with Yaharya will stay with us always, creating a long-lasting and beautiful bond. In her short, but important life, Zady showed us the strength of our community, and importance of holding space for one another.